Using the FatShark Dominator V2 goggles for well over a year, I got used to the feeling of my googles pretty okay. Once in a while they left a red mark on my face around the nose. The V2s never have been comfortable with their single eye pieces, but at the time I got mine they were the best goggles to get for a decent price. 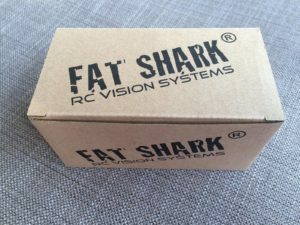 Things have changed and FatShark introduced the new Dominators V3 which come with a full face plate instead of single eye pieces. I had to try this, too. Luckily FatShark has been so nice and released the new faceplate, which come by standard with your new Dominator V3*, also as a single kit for the majority of V2 users* out there. Instead of having two single rubber eye pieces, the faceplate utilizes a layer of foam to protect your face. On top that, the area where the new faceplate touches your face is a lot bigger than the small eye pieces. This leads to a nice distribution of the pressure build up by the rubber band on the back of your head. Another improvement is the integrated miniature fan right between your eyes, which can be activated by a small button on the right and will run for a few minutes. 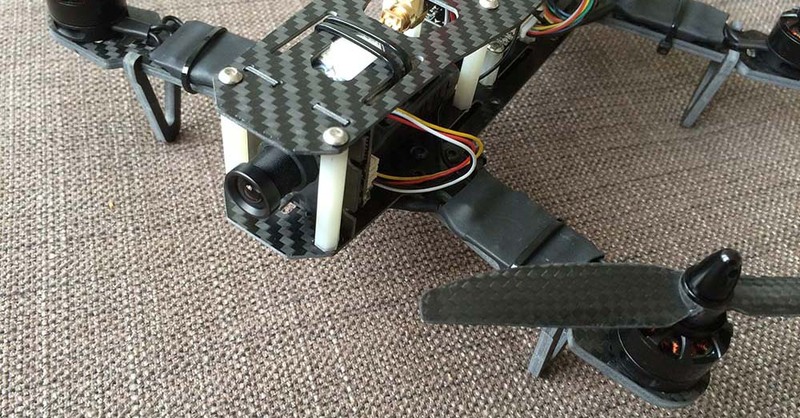 This helps to vent the inside of the glass / lenses and will decrease fogged lenses heavily. The kit comes in a rather large cardboard box with the usual FatShark design. Inside you will find the faceplate itself, two layers of different density foam you have to apply yourself, as well as a textile bag to transport your goggles in. That’s it. 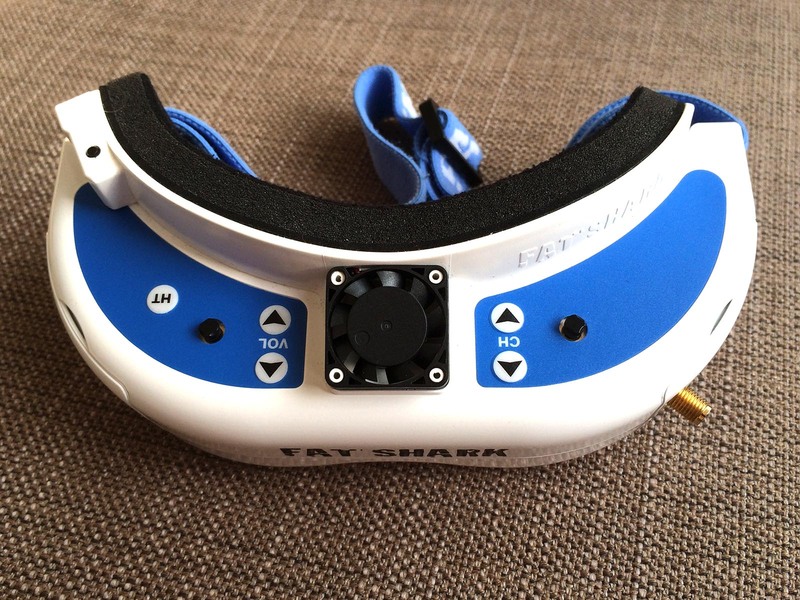 As the Dominator V2 goggles*, the faceplate comes in the same white coloring. The foam inlay is black, as is the small fan on top. 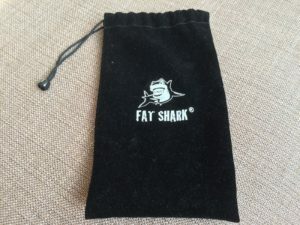 On the right side you will find the connector to power the fan, which simply takes the balancer plug of the standard FatShark battery* that come with the googles. 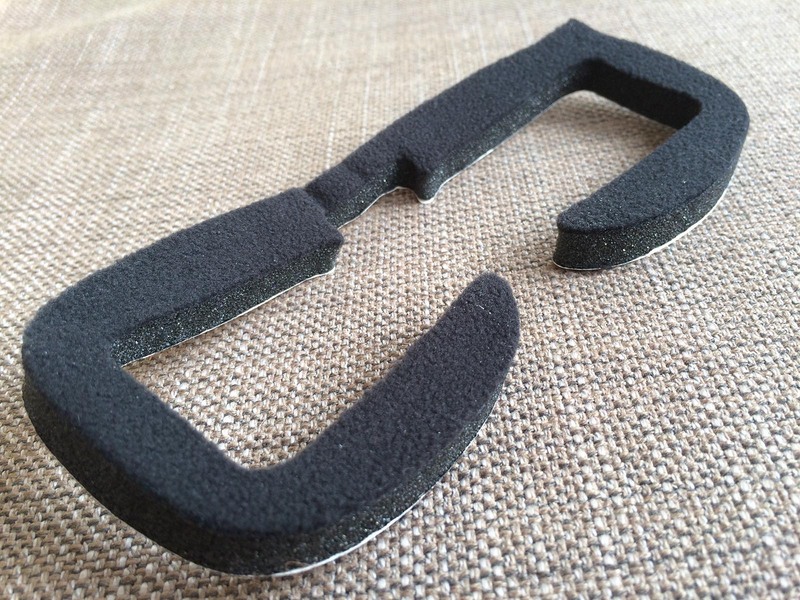 The two foam pieces you find in the set are of different density. That means one feels a little bit softer, while the other one is more on the firm side. Here your taste will tell you rather quick, which one is the way to go for. The over all build quality of the FatShark faceplate is good. It’s all plastic, but it feels and handles like high quality. First thing you have to do, is to get rid of the old rubber eye pieces on your goggle. Simply pull them off. After that, once you decided which type of foam you will be using, start to peel of the protection layer on one side and slowly glue the foam to the faceplate. Baby steps here, you don’t want a skewed foam piece glued to your expensive goggles. The next step is clipping the faceplate to your goggles. That’s a two second process. As everything is manufactured precisely the faceplate snaps right on. 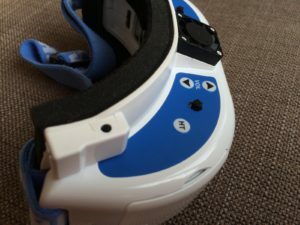 Once that’s done you can put in the battery into the rubber strap, as you are used to, plug in the goggles and also plug in the fan. Put it on your head and: Amazing! That’s how I had expected the Dominators V2 to fit when I first got them. Not only is the new faceplate a lot more comfortable to wear, it also increases the distance between your (well at least my) eyes and the lenses. 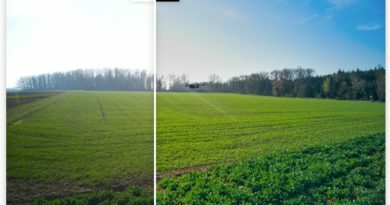 This leads to the fact that flying with the faceplate on is a lot less stressful for my eyes, as I already had the lens position switch on the google at the most distance position. 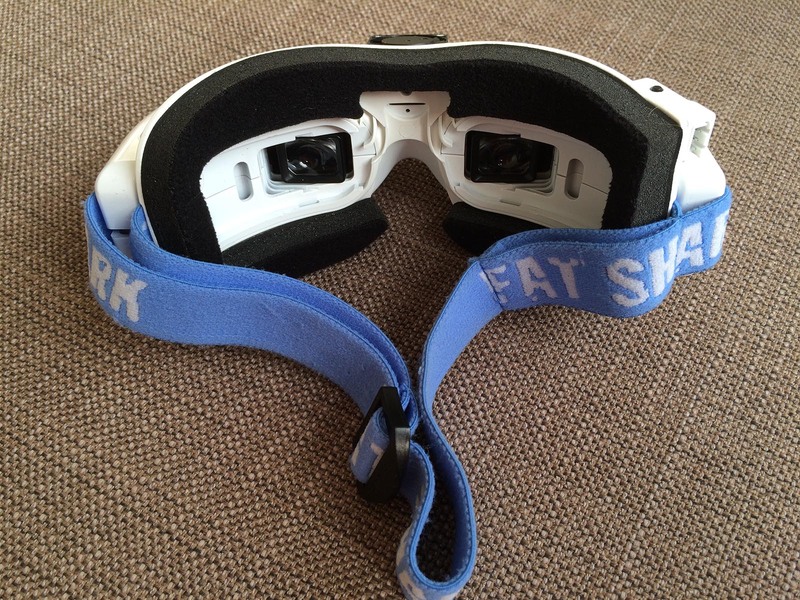 It really is a huge upgrade in terms of long-term usability of the FatShark goggles*. I didn’t found me using the fan alot, though. On the other hand I never had problems with fogged lenses, at least not outdoors. Using the goggles indoors (e.g. on the simulator) I get fogged glasses from time to time. Here the fan is really effective on getting rid of that. I found the FatShark faceplate for the Dominator goggles a real upgrade* in terms of wearing comfort. Even long time use is not painful anymore and all the red marks on my nose, which I was used to from my Dominators* are gone now. The fan is a nice extra, which will help people with the fogging problem, I don’t really need it. Two thing concerned my anyways: The foam layer does not shut of outside daylight as well as the rubber eye pieces and sometimes I have some sunlight peeking in on the edges. I am aware that this is dependent on the shape of your face. But it’s not too bad after all. It does not disturb me while flying and that’s the most important thing to me. On the other hand the goggles get way bigger with the faceplate attached. I would say they become roughly twice in height. As I don’t judge the clipping mechanism, which hold the faceplate, to be designed for constant snapping it on and off, you will leave the plate on – once attached. For transportation they give you this soft textile bag, which is not as protective as the original case of your Dominators. You will have to use it anyway as your goggles won’t fit into their nice case any longer with the faceplate on. 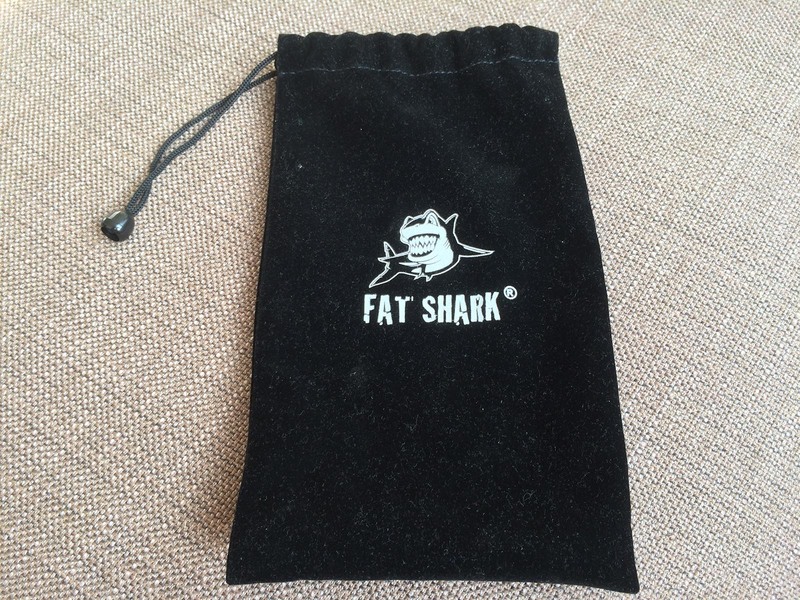 Of course, FatShark* offers a new case as an option. But this thing will cost you an extra 20 €, which is ridiculously high priced for a hard-foam box. Anyways I think the comfort upgrade the faceplate brings is well worth the price you have to pay for one layer of plastic and two layers of foam. The faceplate kit* will cost you around 37 €. It seems a lot at first, but reminding yourself what you have spent on your goggles, that aren’t really comfortable without the faceplate extension (at least in my opinion), another 40 bucks won’t kill you. And in the end it is so worth it, if you are out for more than one battery pack at a time!